Peel and cube the potatoes, then add to a large pot of water. 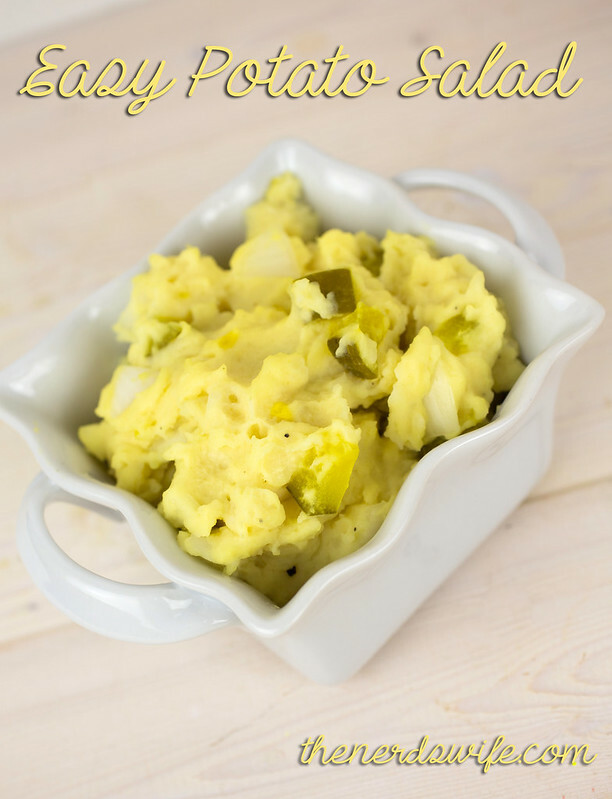 Bring to a boil and cook until potatoes are tender. Drain and add cooked potatoes to a large bowl. 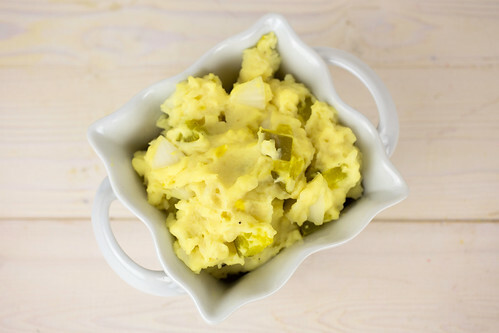 Mash the potatoes and stir in mayo and yellow mustard. Season with salt and pepper to taste. 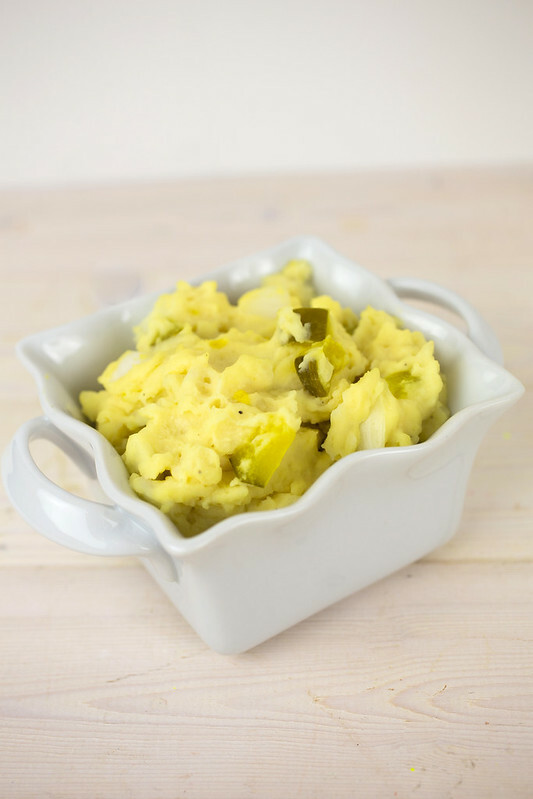 Stir in pickles and onion. 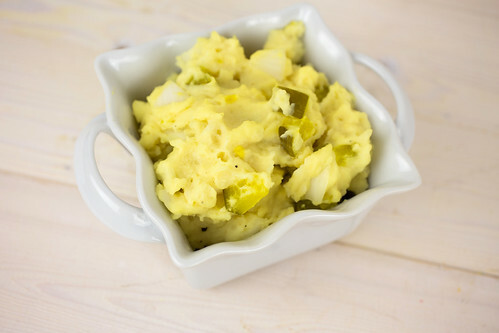 To pack in a cooler, store the potato salad in an airtight container. Surround with ice until ready to serve. What’s your favorite ice chest recipe?